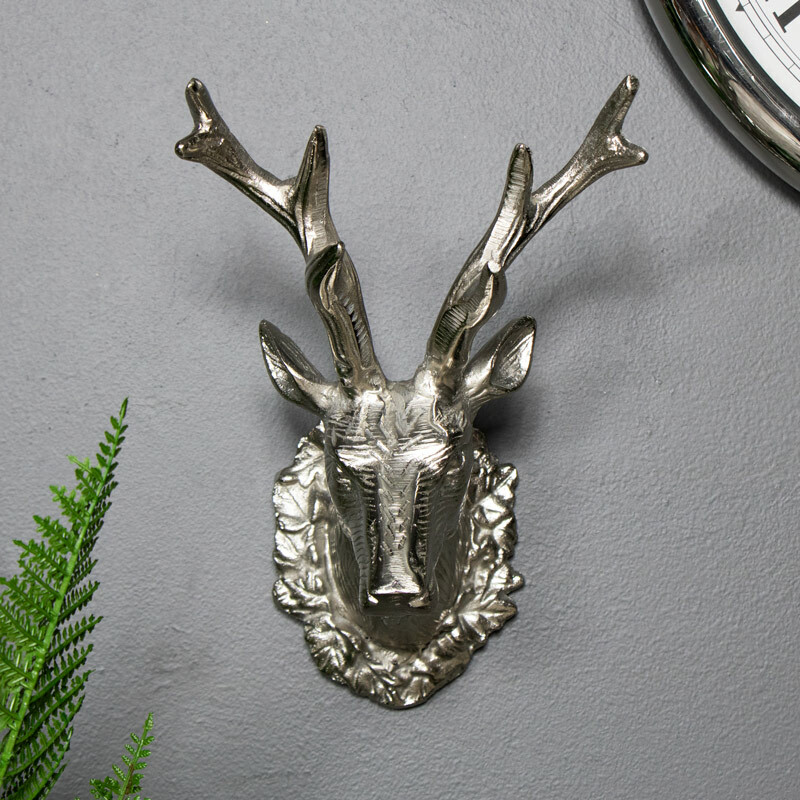 This stag head is a fantastic addition to our growing range of animal heads. Finished in silver with carved detailing that makes this an interesting display piece. 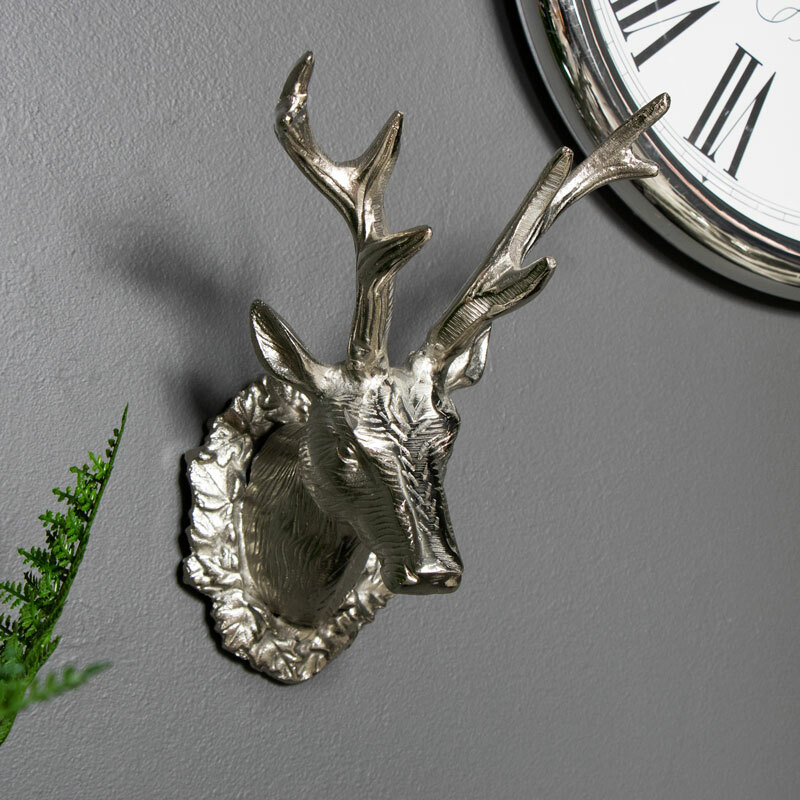 Beautifully detailed features on the face and antlers are completed by a woodland wreath surrounding the neck. A wonderful focal point that will look majestic hung over the mantelpiece or displayed proudly on any wall in the living room or hallway. 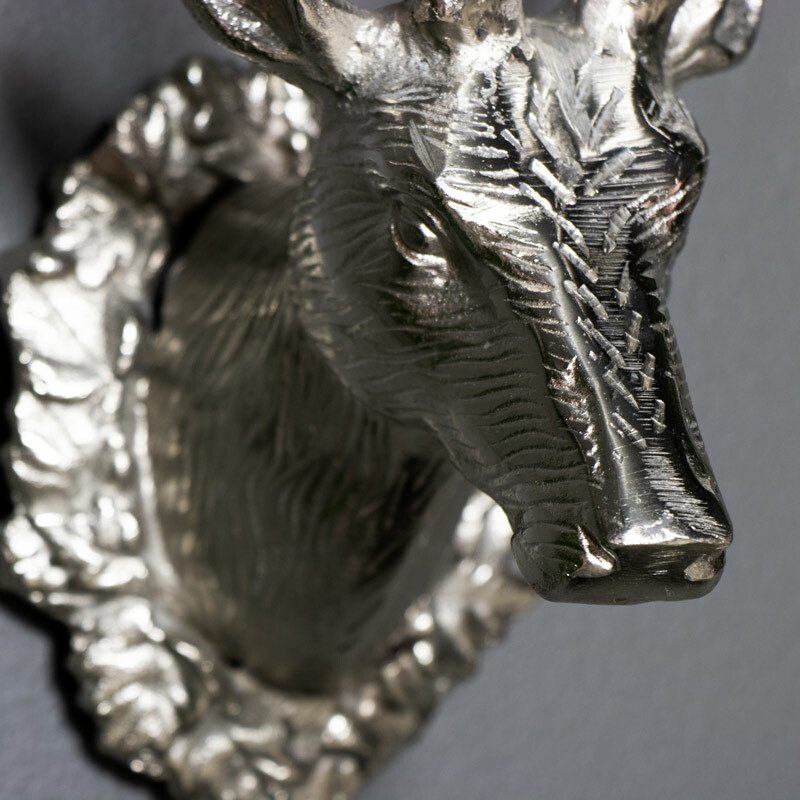 Or range of stag heads are certainly impressive with many more sizes and colours available for you to choose from. With a hole in the back for wall mounting and including a single screw and wall plug it is easy to put this in pride of place.